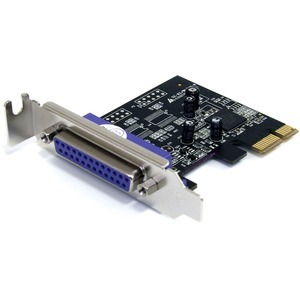 The PEX1PLP PCIe Parallel Adapter card can be installed in a PCI Express (PCIe) x1 slot, allowing you to connect EPP/ECP parallel peripherals to any computer, while relying on a native, single-chip design (Oxford OXPCIe952) that harnesses the capability of true PCI Express, ensuring maximum performance and reliability. This high performance SPP/EPP/ECP parallel card adds 1 DB25 parallel port, perfect for connecting printers, scanners, CD-R/RW drives, memory card readers, bar code scanners and more. 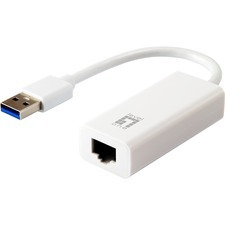 With the added convenience of plug-and-play capability, installing the parallel adapter card is hassle-free!